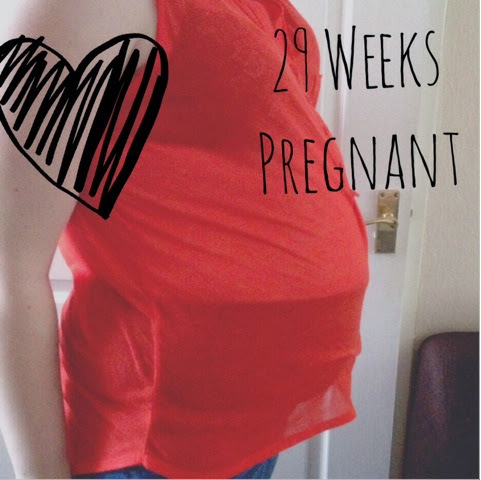 Wow 29 weeks! Although I haven't been given a date yet I've been assured my section won't be any later than 39 weeks which means we will meet her in 10 weeks or less! Again I've been feeling a lot better still. I'm having to cut down my antacid tablets as they have bought my iron levels down very very low but that's nothing that can't be solved with some Spatone and eating plenty of steak! Who knew heartburn tablets would stop you absorbing iron! The results of my GTT came back clear and my growth scan last week showed that baby girl is growing at the perfect rate and a week ago was around 2lb 2oz. Of course this doesn't mean I'll have a small or regular baby. We had a growth scan with Zach at a similar time where we were told he was average and was shocked looking at all 10lb 4.5oz of him on the big day! I do have to say the Braxton Hicks are a nightmare! You'd think third time round I wouldn't panic whenever they happen but poor Andy found himself running me a bath at 3am yesterday morning as I was getting pains and contractions. After a soak and a few hours sleep they started to ease and have had nothing since! 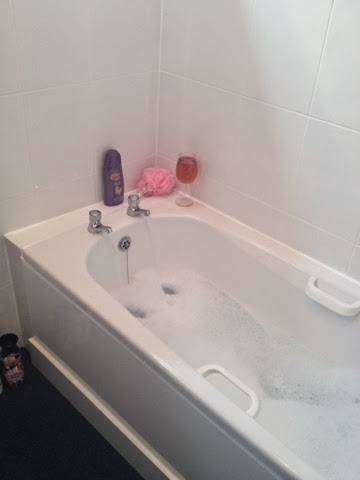 Thank god we now have our bath it's been a life saver this week and I can see me spending a lot of time in it over the next 10 weeks to ease pains or destress! I've been off work on holiday this week which is great as over the next few days I have so much going on. Thursday sees us taking the kids to cBeebies land at Alton Towers then Friday I am off to London for Britmums Live! And I can't wait. I just hope little miss behaves for my weekend away! Yay for another overall pretty good week! Thanks I've had a lovely weekend! Now it's time to catch up with some blogging! I'll look out for you and your big bump! That all sounds very positive. Enjoy your weekend! Thank you we had a lovely time at Alton Towers the kids absolutely loved it and I am well and truly knackered now!